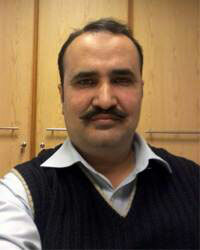 Mr Sabir joined URDU IT academy team, as a Linux Instructor. Mr Sabir is new addition to the URDU IT academy team, as a Linux Instructor with more than 12 years of broad IT exposure in developing Linux / Unix based systems and executing cost-effective, technologically- advanced IT/Hardware and storage solutions to meet challenging multinational business demands. Sabir is very passionate about configuring multivendor environment and design integration systems. Sabir said "Its easy to learn and only thing it desires in return is lots of practice which I try to continue"